Text message marketing is a great way to pack your bar or night club. Send out a last minute announcement to let your customers know about what band is playing or that you are having a DJ tonight. It’s easy to build your database, when the band finishes a song, have them announce that the bar is having a give way promotion to one person who sends a text message to the Bar’s keyword before the end of the next song. Hundreds of customers grab their phones and send in a message. After a few minutes, the winner receives a text message telling them they won. As the owner of that bar, you have just added hundreds of customers to your database that you now can send messages to about your business. 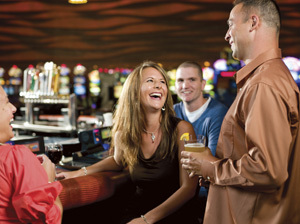 If it’s a slow night, send out a promotion to your VIP club and see the results that night.